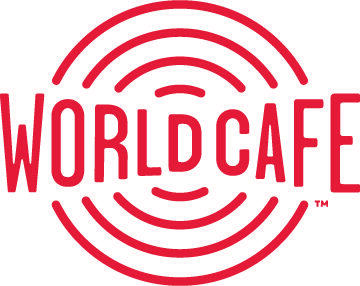 The Massachusetts-based quartet Darlingside gathers around a single microphone in the World Cafe studio to sing songs from the group's new album Extralife. We'll also hear the band deconstruct one of their signature 4-part harmonies right before our ears. In an encore presentation, Rihannon Giddens joins Nashville correspondent Ann Powers to perform music from her album Freedom Highway. Giddens shares what it was like to inhabit African American voices from the past in songs like "At the Purchaser's Option" and how slavery was wrapped into the fabric of all of American society. Jorge Drexler was the first Uruguayan to ever win an Oscar. He also trained as a doctor before becoming a musician. The charming and poetic overachiever performs a whimsical set of live songs from his latest album Salvavidas De Hielo, and reflects on the many twists and turns his professional life has taken. The Oscars are this Sunday, so we’re celebrating the silver screen on World Cafe. From tunes that have won best song, by Judy Garland and Stevie Wonder, to some of our favorite musical movie moments like Elton John’s Tiny Dancer sing-along in Almost Famous. Grab your popcorn, we salute the Oscars on Friday's World Cafe!